The Wave, Reverb from Mod Kits DIY. 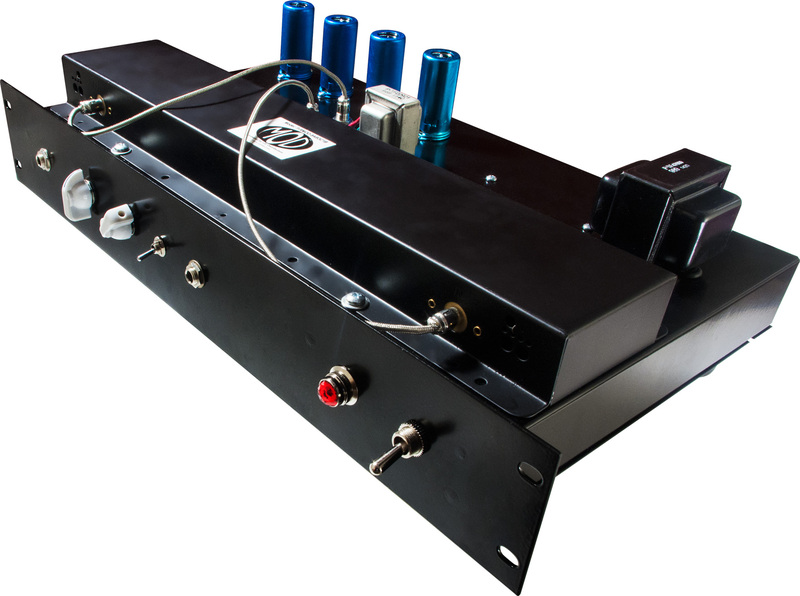 DIY Guitarists and tube lovers can rejoice over the latest release from MOD Kits DIY, a self-assembled, 4 tube-powered Reverb unit. The Wave is a stand-alone reverb unit in a 3U rack format and recalls the sound of classic spring reverb designs from the 1960s. It's powered by 4 dual triode vacuum tubes - three 12AX7s and one 12AT7 - and comes with a MOD™ three-spring reverb tank. It also features numerous I/O options for use in any studio environment, such as standard ¼ inch in-and-out guitar jacks in the front for use with your guitar and amp, and standard RCA in-and-out jacks in the back panel for line-level integration with other stand-alone processors. The reverb settings are regulated by way of vintage "dwell" and "reverb" controls, which set the incoming drive of the signal and the output level of the reverb respectively. The unit can be bypassed via a front-panel switch or it can be controlled remotely with an optional footswitch. The unit features four large rubber feet on the bottom for stage-use with most contemporary amp head and combo designs. The unit is also rack-mountable without the need to remove the feet. The kit comes with all the necessary components for assembly, including a powder-coated chassis and detailed instructions. MOD Kits DIY suggests this kit best applies to musicians who already have experience building their own equipment. The kit retails for $275 and can be purchased at www.modkitsdiy.com. The APA Juggernaut in Solo version New-Zealand manufacturer Atlas Pro Audio announces the release of the mono version of their Juggernaut mic preamp. A mini AD/DA converter on KickStarter H2 Designs has launched on KickStarter a crowdfunding campaign for the MIYO pocket AD/DA converter and audio interface.